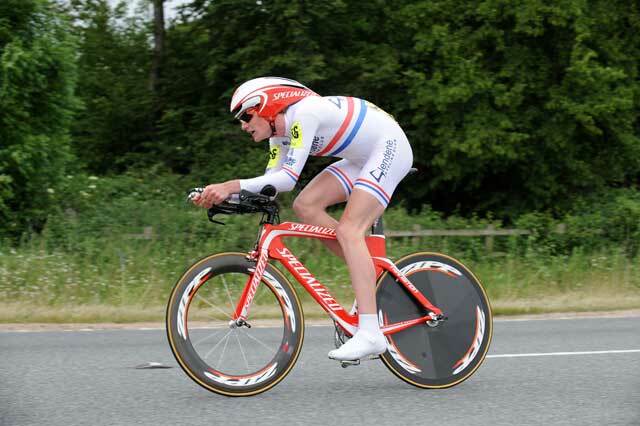 Britain has a tradition of producing top time trial riders, and 18-year-old Joe Perrett announced his potential by winning the junior title at the European Championships in Belgium in the summer. The Essex-based Glendene CC rider had finished third in the national junior road race (behind George Atkins and Tim Kennaugh) the previous weekend before travelling to Hooglede for the Europeans. On a baking hot day, Perrett was the only rider to go under 35 minutes for the course, winning the title by 16 seconds from a rider from Luxembourg.